Marketing in the digital world has a way of discarding tried and true tools that don’t express themselves in 0s and 1s. The fact is the old brochure can still get you new business. Define its place in the buying process. 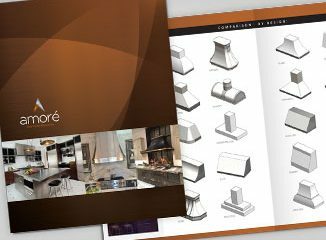 A brochure has many objectives: point-of-sale, leave-behind, direct mail, sales support. Determine where your brochure project will function in the buying process. Produce it within that goal. Message and Target. Unlike many digital communications, a brochure is wrapped and presented with a tangible personality. Make sure it speaks and acts appropriately, working within your corporate identity. Convey the right communication to the right target. Make sure it’s accurate. There is a certain “forgiveness” in digital presentations. Knowing the words can be changed in an instant, permanence is not a given. Not so with a printed brochure. Your reputation is damaged with any inaccurate information, misspelled words, or bad grammar. Don’t forget the call to action. If there is anything the old school brochure lacked it was a great call-to-action. Today’s audience has less patience and attention span. After your compelling narrative of why they should buy your product, tell them how to buy it.